CAS-indued difficulties in learning mathematics? Artiklen undersøger lærernes erfaringer med CAS (Computer Algebra Systems). 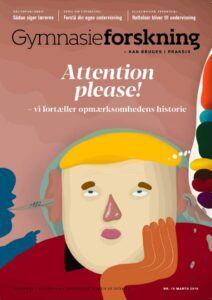 På baggrund af undersøgelsen udfolder hhv. professor Uffe Thomas Jankvist og Morten Misfeldt både de positive og negative erfaringer med CAS i gymnasieskolen på alle niveauer. As wifi and social media have become become a part of students every day life, new challenges as well as new potentials for learning are opened up for the teachers. In this paper we qualify this interpretation theoretically through systems theory and medium theory.